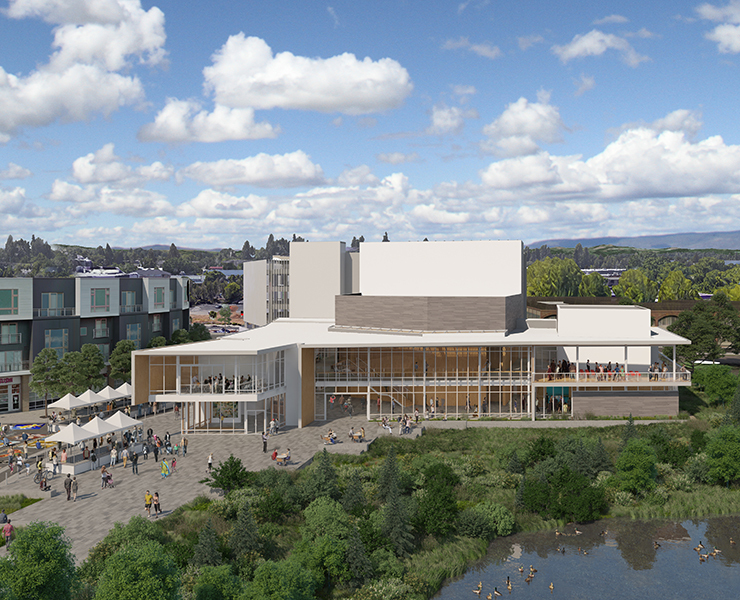 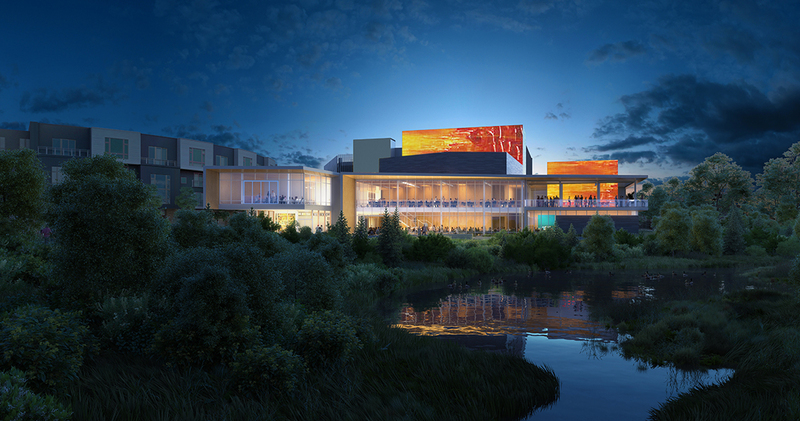 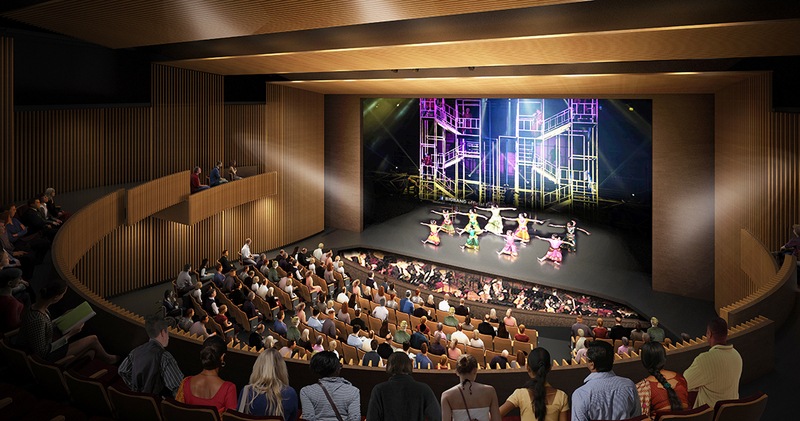 The Patricia Reser Center for the Arts will offer a unique blend of urban and natural elements that will embody Beaverton’s defining attributes and sense of place. 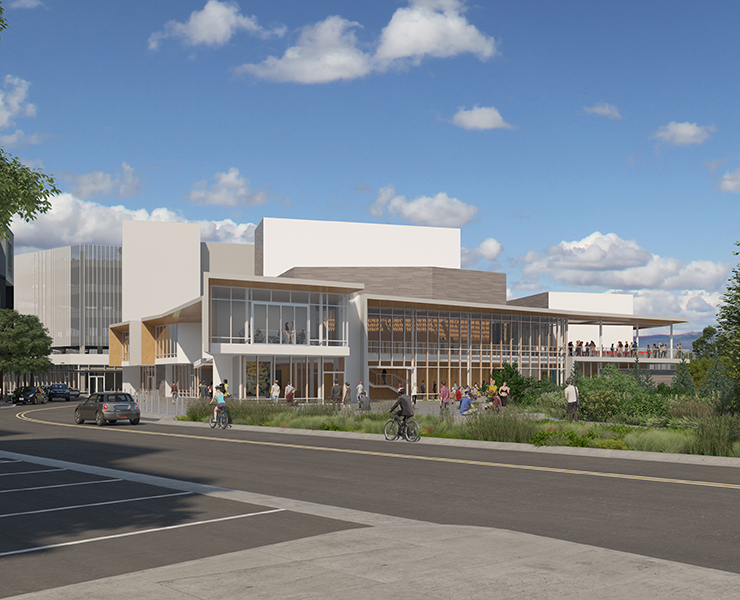 The Center will serve the region’s population and will attract visitors from outside the area to experience art, culture, events, and business functions in downtown Beaverton. 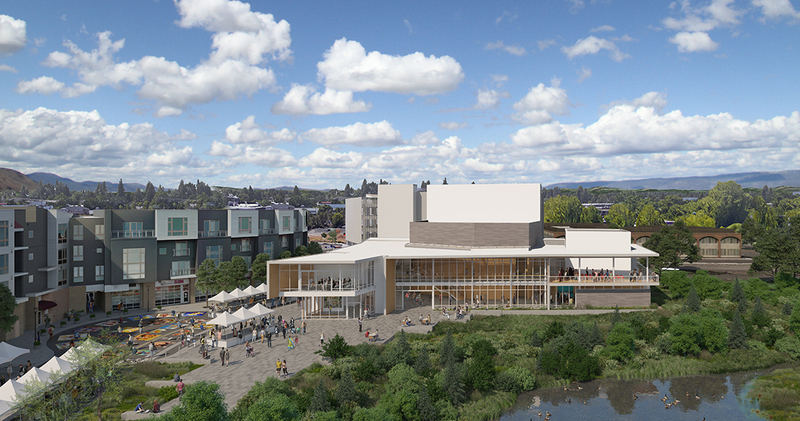 The community’s aspiration of realizing a regional identity for the Center is strengthened by a prominent presence and unobstructed views from Hall Boulevard and will be complemented by directly engaging Beaverton Creek as a regional resource. 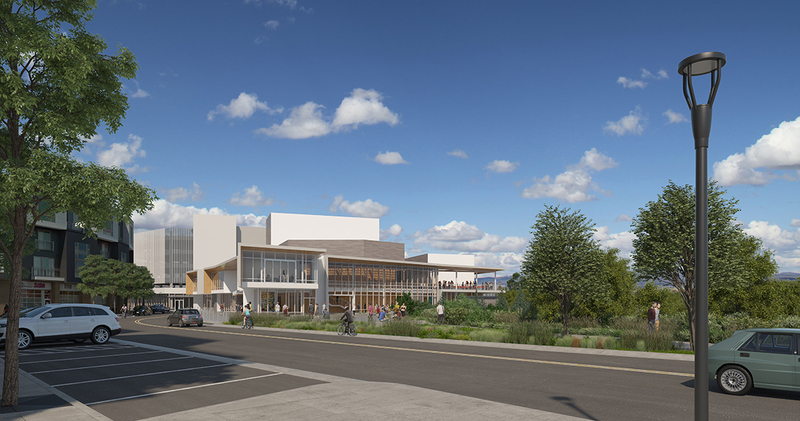 This site offers the inherent capability of creating a memorable civic amenity that integrates the Center within a park and plaza setting. 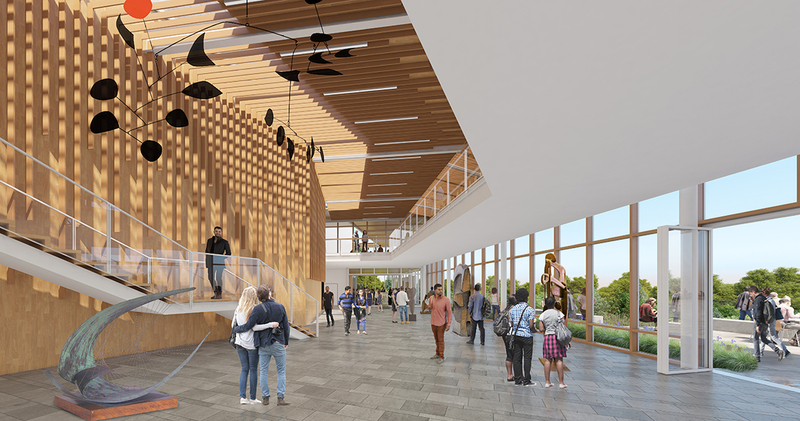 In addition, the adjacency of the Center to the proposed parking structure offers convenient parking capacity for patrons attending arts and cultural events. 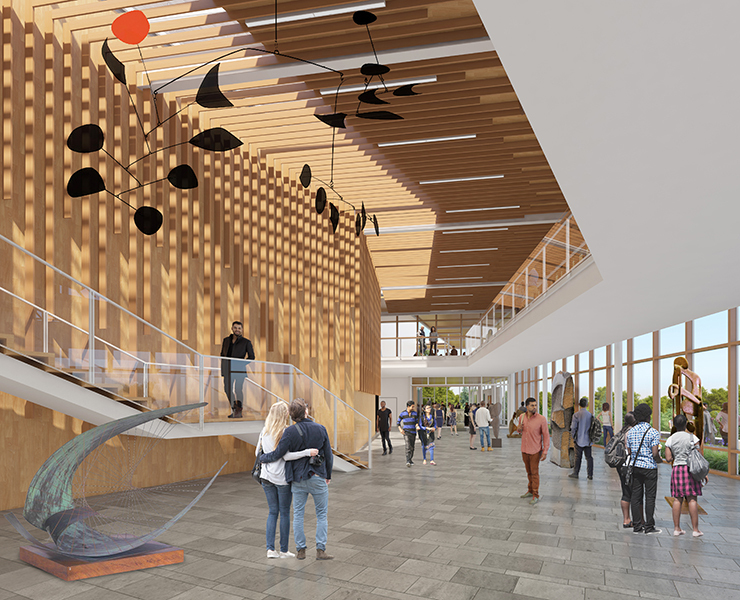 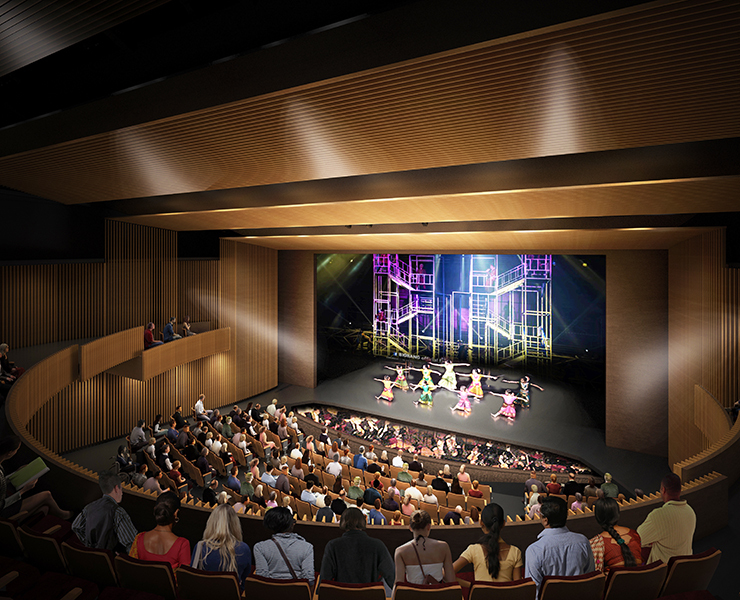 The direct pedestrian connection, from the Center through an existing breezeway in The Round to the amphitheater, expands access to a prominent visual and performing arts venue in proximity to the Center. 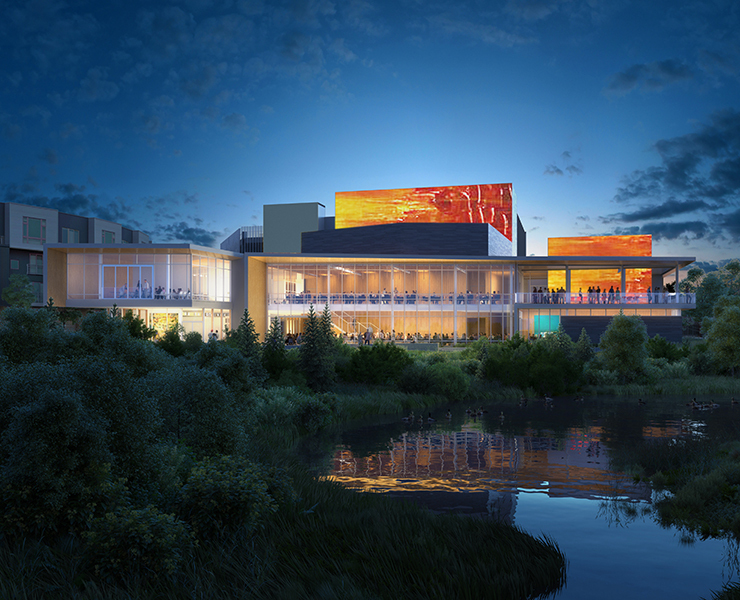 Programmatic components of the Patricia Reser Center for the Arts will include an outdoor Arts Plaza for festivals and events, a large Lobby for reception and events, a multi-purpose 450 seat Theater, Classrooms for Art and Dance, Meeting and Conference Space, Art Gallery, Café, and a Roof Terrace for outdoor films and reception.